This Game just got real: NEWS OF THE WEEK, IF NOT THE WHOLE YEAR. Studio 4°C have struck a licensing deal with Netflix to bring several of their properties to said streaming service. 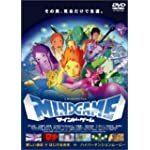 Among them: Mind Game, the phenomenal 2004 feature film anime by glorious madman Masaaki Yuasa that I will propagandize for until my dying day because is one of the two or three films that ever made me sob uncontrollably with joy. It is about death and resurrection and transcendence and love and pretty much the whole span of human experience in between to boot. It has more color than any five acid trips. It has a music score by Seiichi Yamamoto of the Boredoms. It has a sequence where a guy outruns a tidal wave by stepping on individual water molecules. Mind Game will appear September 2. Also to be listed: Tweeny Witches (winner of the Best Show With The Worst Title Award for 2004), Sunao (Black Lagoon, In This Corner of the World) Katabuchi's Princess Arete, and the Genius Party anthologies — items I've been itching to track down and talk about. I'm going to be a busy man. But in the best possible way. 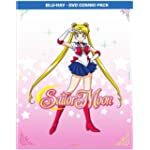 The other Galaxy Express: Discotek Media, god love them to the end of time, have just dropped word about their forthcoming Blu-ray Disc release of Night on the Galactic Railroad. 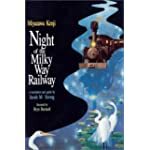 For those not in the know, Railroad is a gorgeous animated adaptation of a legendary children's story by Kenji Miyazawa (parallels to The Little Prince are not wholly off-base). Expect a discussion of both the film and its source material (available in multiple English translations). The Curse of Knowledge in Manga: "... if you’re writing about manga, you might write horribly to people who don’t get whatever you want to say because you think everyone understands manga. You don’t take into account that many fans have stereotypical views about it. If you want to write for more people beyond your circle, you have to tone down your passion a bit, explain concepts in better detail, and start relaying things in terms that’s understandable to them."